Are you aware of a finance professional or corporate insider illegally trading stocks while in possession of material, nonpublic information? Or do you have evidence a group of hackers is transferring stolen data to financial professionals for illicit gains? Our SEC whistleblower attorneys can assist you with reporting evidence of insider trading to the Securities & Exchange Commission. The SEC welcomes information about securities law violations from insider trading whistleblowers. Insider trading has been a high priority of SEC enforcement for many years. In order to encourage people to come forward with information about wrongdoing, the Dodd-Frank Act provides for reward payments to a whistleblower when they help the SEC receive monetary sanctions of more than $1 million. The SEC will pay between 10 and 30 percent of the recovery as a reward to an eligible person. The SEC has a long history of seeking information about traders using inside information and breaking the law. Before Congress passed the Dodd-Frank Act in 2010 to reward whistleblowers for securities violations, the SEC had a program authorizing the payment of rewards for tips about insider trading. Ordinarily, the SEC scours trading records for suspicious, well-timed trades around the release of material market information that significantly moves a security. If it departs from the ordinary trading patterns of the individual or account, the SEC may inquire further about whether there was impropriety in the transaction. Individuals may also engage in fraudulent schemes with family members, friends and co-workers to hide their involvement and the profits from illegal activity. Whistleblowers can provide important assistance to securities regulators as they attempt to analyze market data to stop the wrongdoing. The SEC is on the search for a needle in the haystack using sophisticated computer technology to wade through large quantities of data – individuals with evidence of specific wrongdoing may point them in the right direction and jumpstart an investigation.Every year as a result of data analysis, tips and other investigatory methods, the SEC enforcement team brings approximately 50 cases against people who their investigations reveal have broken the law. The SEC will pay eligible whistleblowers a reward of between 10 and 30 percent of the amount recovered from enforcement actions over $1 million. The securities regulator has already paid more than $50 million to individuals providing tips about securities fraud. 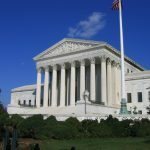 Although the SEC has issued rules to protect internal whistleblowers, these rules have been challenged by employers and their validity in the courts is still up in the air. The only way to ensure that a whistleblower qualifies for the Dodd-Frank protections is to report to the SEC. The government also allows anonymous reporting through an attorney. The SEC recently exposed a scheme executed by a group of hackers and traders where they were accused of learning material, nonpublic information by breaching computer networks and then profiting from that information by buying and selling securities in advance of stock movements. 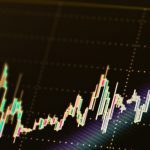 We expect that other financial companies and traders have also employed computer professionals to hack into publicly traded companies. 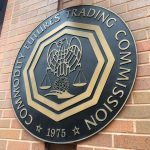 The CFTC has traditionally prosecuted cases of insider trading in commodities under prohibitions against fraud or market manipulation. However, the Dodd-Frank Act authorized the CFTC to bring cases when an individual trades on material non-public information in breach of a pre-existing duty. CFTC Rule 180.1 is modeled after Section 10(b) of the Exchange Act, which has been enforced by the SEC for years. 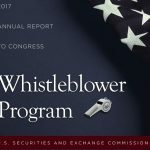 The CFTC has a whistleblower program similar to the one run by the SEC . They were both created by the Dodd-Frank Act in 2010 although there are some differences in both the wording of the whistleblower laws as well as the different agency interpretations. The law was designed to prevent individuals from gaining an unfair advantage in the marketplace over the counterparties in their trades. If individuals are allowed to buy or sell shares based on information not publicly available, then they are essentially stealing money from the people involved in their trades. Without an assurance of fairness in the system, people would take their money elsewhere rather than participate in a rigged game. 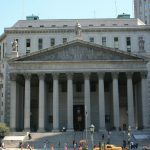 The laws concerning insider trading are complex and we encourage whistleblowers to submit tips through a lawyer. Insider trading requires the purchase or sale of a security in breach of a fiduciary duty or other relationship of trust and confidence while in possession of material, nonpublic information. Because information may pass between many tippers and tippees, establishing liability among the players can be difficult.